← 5G and potential health risks. To some extent, the struggle inside ORSANCO is a microcosm of the national debate over environmental deregulation that has gained fresh relevancy and urgency, especially over rules safeguarding water from energy development. In February 2017, President Donald Trump signed a congressional resolution that nullified protections for mountain streams threatened by strip mining. Miners are now free to dump their rock and dirt and mine wastes into ravines. In December 2018, the Environmental Protection Agency and the Army Corps of Engineers made public their intention to end Obama-era rules that extended protections — from power plants, oil and gas drilling, and industrial sites — for remote wetlands and seasonal streams. The effort to eliminate ORSANCO’s standard-setting role fits the deregulation trend. During the same era when utilities are closing coal-fired power plants, which have been some of the Ohio River’s biggest industrial polluters, an immense new industry is emerging in the upper Ohio to store, process, and turn natural gas into liquid chemicals for plastics manufacturing and fuel. The mammoth transition will alter the chemical and biological character of wastewater discharges. As energy producers shift from coal to natural gas and renewables to supply electricity, traffic on the Ohio River is changing. 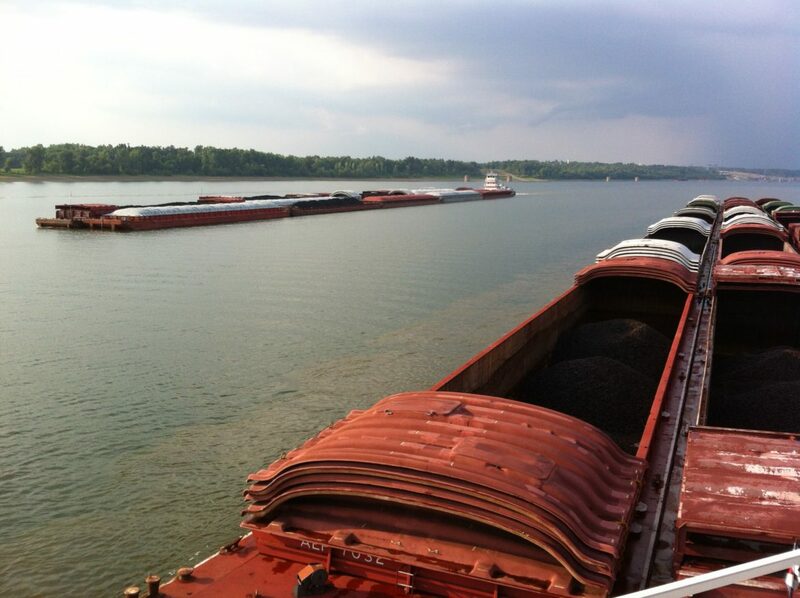 River tows, like this one near Paducah, Kentucky, are transporting less coal and more farm commodities and iron. 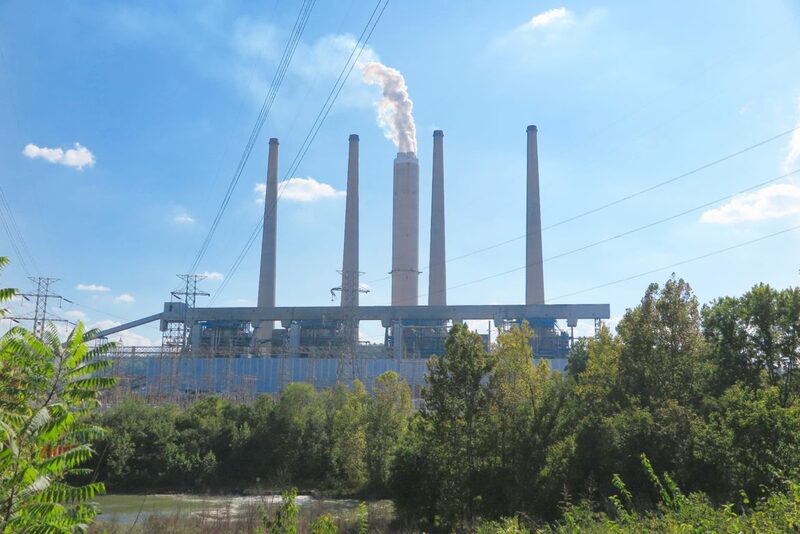 Last year, following four years of intense discussion, the ORSANCO subcommittee invited public comment and held a hearing on five options for deciding the agency’s role in setting pollution limits. Two gained the most attention. The first, supported by a majority of commissioners in a preliminary vote, would essentially end the standard-setting program. The second, developed by FitzGerald, would expand the agency’s standard-setting program by working with states to ensure that more of them are adopted in state discharge permits. The first option has attracted support from utility and industrial executives, and wastewater managers in West Virginia. They describe ending standard-setting as a prudent step in ORSANC0’s evolution from a 20th-century water quality regulator to a 21st-century agency principally focused on monitoring the river’s condition. They assert that the U.S. EPA and the six states along the 981 miles of the Ohio River already set and enforce pollution control standards and ORSANCO’s work is unnecessary. 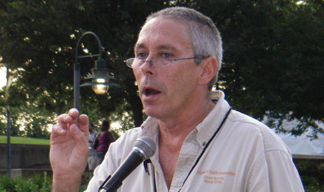 FitzGerald, and the allies he’s recruited on the commission’s board and in the Ohio River Basin’s environmental community, assert that curtailing ORSANCO’s standard-setting is a mistake with potentially dangerous consequences for the river. Though it’s improved, the Ohio is not close to being truly clean. For two decades it has led American waterways in industrial pollution. 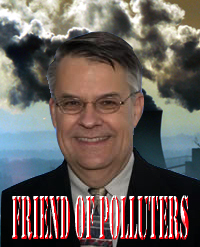 In every previous era of industrial transformation since it was established, FitzGerald argues, ORSANCO’s small staff of scientists and technical experts were at the head of the regulatory pack in studying new industrial pollutants, deciding what levels are safe for discharging into the Ohio, and defending those standards. In 2018, ORSANCO introduced FitzGerald’s idea to expand the program so that agency pollution standards are more consistently embraced and enforced by the six states along the river. FitzGerald advocated its approval among his peers inside the agency, and among his colleagues in the environmental and public interest communities. The vast majority of public comments received by the agency oppose gutting the program and support FitzGerald’s expansion idea. “The presence of ORSANCO’s pollution control standards acts as a backstop to assure that irrespective of changes in federal policy, adequate and sufficient standards for pollution control will remain intact and current,” FitzGerald said. During a commission meeting in Louisville last spring, FitzGerald urged the full governing board not to deregulate. “I don’t know that this is the time for us to signal a retreat from the historic function of the commission of setting standards and encouraging the states to work cooperatively to assure that those standards are implemented,” he said. It appears FitzGerald has made significant progress. Toby Frevert, a retired Illinois water quality regulator who leads the subcommittee considering the proposals, said in an interview that in five years of review, his panel has not reached a consensus. During the upcoming meeting, commissioners could decide that more evaluation, and more public comment, may be required. “There is a high likelihood that we are looking at something different than what we proposed,” Frevert said. The commission’s 24-member board meets in Covington, Kentucky, on Feb. 14 to consider the next step. This entry was posted in Uncategorized and tagged IDEM, Ohio RIver, ORSANCO, Pollution standards, water pollution. Bookmark the permalink.